The above-mentioned trading companies, with the exception of RESPECT Slovakia, s.r.o., constitute a concern. 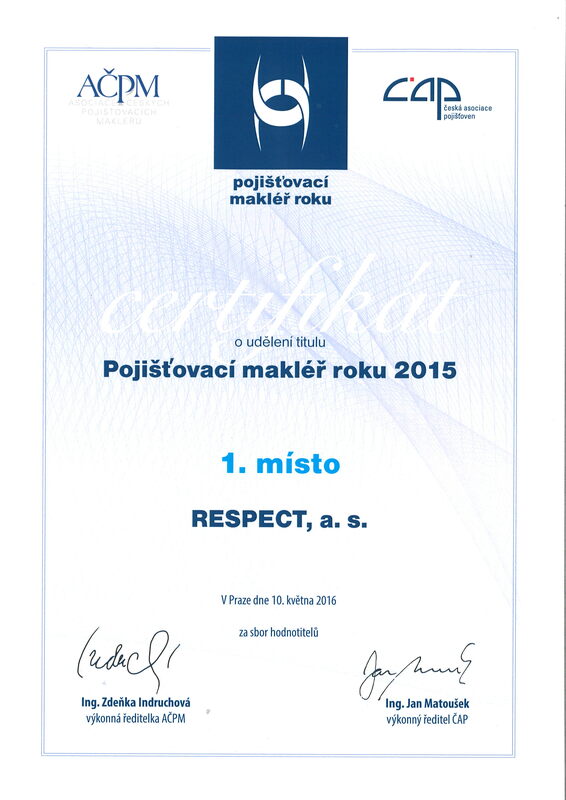 RESPECT’s professional indemnity insurance for 2014–2015 amounted to 1 billion CZK. RESPECT is certified to ISO 9001. 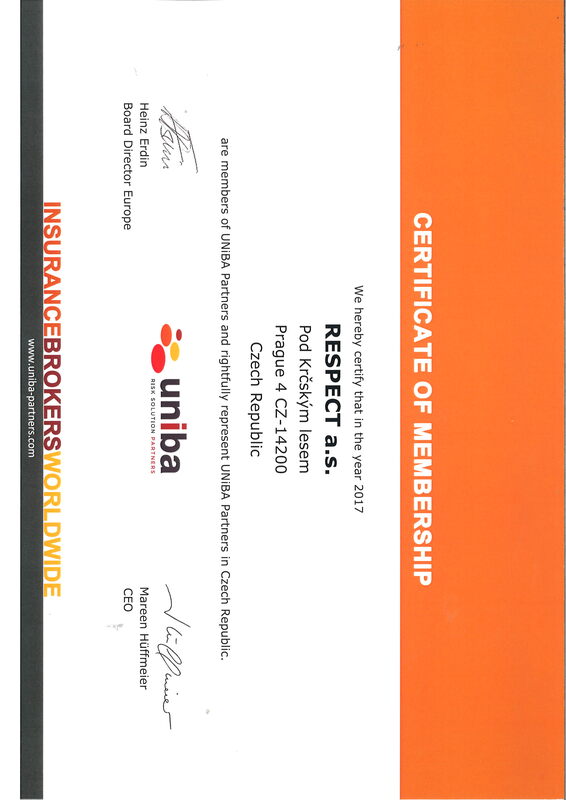 RESPECT was declared the Insurance Broker of the Year in 2014, 2015, and 2017.